This Christmas Santa banner can be customised to include anything you like, you can include your own details, logos and pictures all at no extra charge. 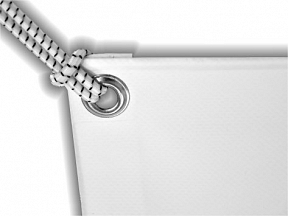 Simply put your instructions in the comments box as you proceed through the checkout, we won’t print anything until you’ve confirmed the proof we send you. If you prefer, we can deal over email and take payment by phone once you are happy with the design. At HFE we are here for you and are happy to do all the work, and we don’t even charge for this service! 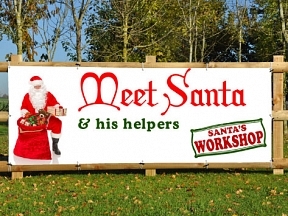 So whether you’re looking for a meet santa, a santas grotto or any other banner for any purpose, we’re waiting to help.